HTC has officially announced an upgraded version of the One X, named the One X+. The device was leaked last week, along with a list of possible specifications, so lets see what the new phone has to offer. The One X+ is a European device, and therefore comes with a quad-core processor and not the dual-core Snapdragon found in US One X handsets. HTC has retained the Nvidia Tegra 3 chip, but has made it work harder by increasing its clock speed to 1.7GHz, up from 1.5GHz. RAM remains the same at 1GB, while the internal memory has been doubled to 64GB. As expected, Android 4.0 Ice Cream Sandwich has been replaced by Android 4.1 Jelly Bean, while the Sense user interface has also been given a polish, and is now known as Sense 4+. This brings with it a few new features, such as a Self Portrait mode for the forward-facing camera where it will detect faces and apply subtle enhancements to the final picture, plus a quick launch mode named Sightseeing, where pressing the power button immediately launches the camera from the phone’s lock screen. Additional Sense 4+ features include Tap and Go for Beats Audio, which uses NFC to connect to Beats speakers, plus a new Video Hub that integrates with HTC’s movie streaming service. Finally, HTC has introduced Get Started, a web-based system for setting up your new phone, where everything that’s selected is automatically synced with the device. Back to the hardware. One alteration that wasn’t in the leak is the addition of a 2100mAh battery, replacing the 1800mAh cell in the standard One X. HTC’s press release promises another 6 hours talk time, representing a 50-percent increase over the One X. The One X+ also has a 1.6-megapixel forward facing camera, up from 1.3-megapixels. The screen hasn’t changed and is still the same 4.7-inch Super LCD 2 with a 1280 x 720 pixel resolution, the camera stays at 8-megapixels with 1080p video recording, and the design and dimensions are identical too. The only difference being a 5 gram increase in overall weight to 135 grams, due only to the new battery. 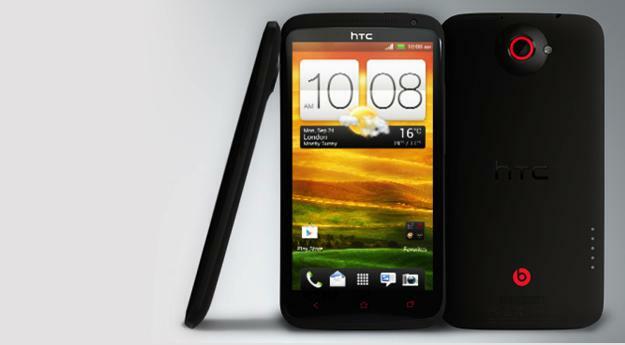 HTC’s One X+ will go on sale in Europe and North Asia later this month, with South Asia following in November. As for the USA, HTC has said a separate announcement will be made, but doesn’t indicate when this will happen. One X and One S owners are in for a treat too, as both Android 4.1 and Sense 4+ will be coming as an upgrade very soon, with the rollout scheduled to begin this month.